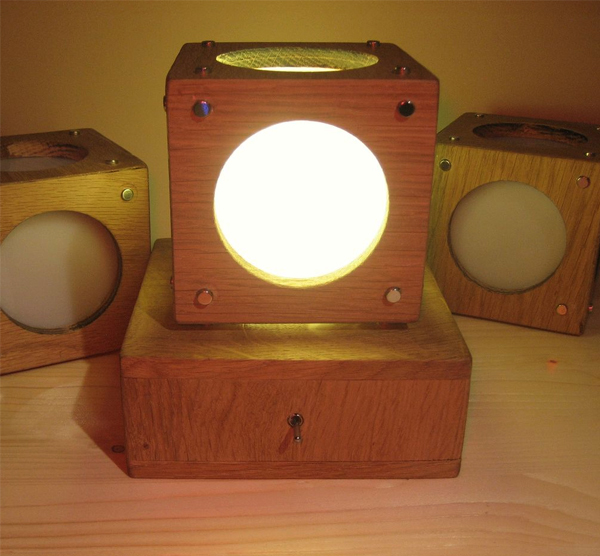 Here are some of the best upcycled lamps we’ve seen. 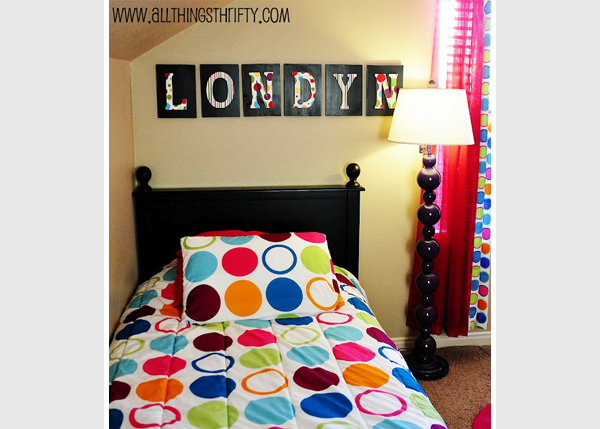 These ideas and projects are simple and inexpensive to do. Leave us a comment and link if you try any of them out. You can easily upgrade a lamp by using a sharpie. Better Homes and Gardens upcycled a teal colored lamp into a one of a kind piece by simply drawing doodles on it – link. Because we are switching to using more energy efficient compact florescent light bulbs instead of incandescent ones, Studio mischer‘traxler wanted to go out and redesign normal lamps to use those long florescent strips. They ended up with these playful looking lamps that look like something from a Pixar movie – link. Marie over at Under the Sycamore has used the photo sharing website Picasa to upcycle her lamps into one of a kind light pieces. 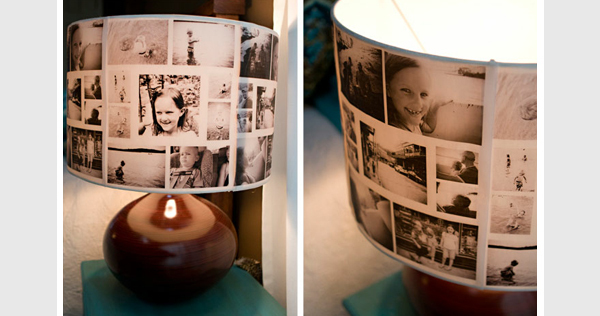 Picasa allows you to create collages with your photos and edit them into black or white if you want, which can then be printed out on vellum and hot glued onto a lamp shade – link. Here is an idea: use an old IKEA lamp and glue black and white negative film onto the glass – 6 DIY Lamp Ideas. Looking to recreate a designer lamp, Brooke over at All Things Thrifty used Christmas ornaments and a lamp to create this lovely piece – link. Simply and instantly upcycle lamps by getting fabric dye and dip dying the lamp shades to create gorgeous color gradients. It works best on light colored fabric lamp shades – link. Here are a few photos for some DIY lighting inspiration using organic materials (and one fishing pole). The first set of photos comes from Idha Lindhag via Desire to Inspire. Here a long wooden branch has been set into a block of cement to create a nature inspired arc lamp. Three pendant lights have then been wrapped around the branch to create this Zen like living room setting – plugging into a normal wall socket. Another floor lamp has been crafted, but this time using a fishing pole. Set into a stone base, the fishing pole aches over the living space with a bird ornament hanging off of the light bulb. The last photo from Idha Linhag is this dining table light. Holes have been drilled into a thin and long log to make space for the number of candles which then hangs beautifully above the dining table. 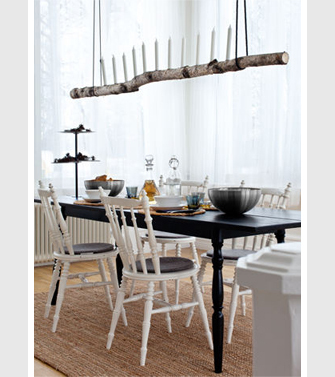 Anna-Malin via décor8, has created her own dining room lights using a wooden branch, and decided to uses electrical fixtures rather than candles as seen in the example above. Only using a long branch, 4 fabric covered cables, and electrical help from her husband, Anna-Malin was able to replicate a pendant light she saw in a design magazine, to hang over her own dining table. The step by step process can be seen here. 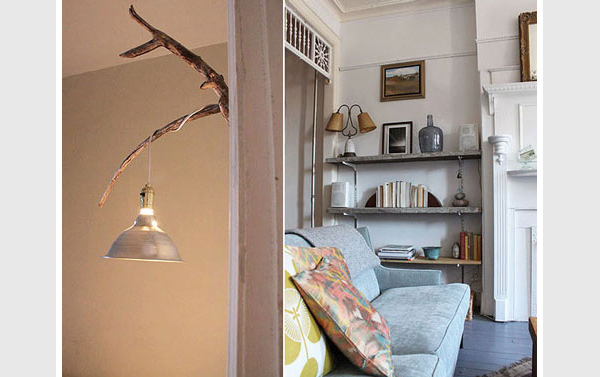 Anne-Claire’s home is a beautiful space that makes use of a lot of natural materials. There are raw wooden book shelves, dining chairs, sleek wooden side tables, a number of indoor plants, and even wooden branches are used as decorative pieces. In her bedroom we see one of the larger driftwood branches being creatively used as a base for lamp that hangs over her bed – via Design*Sponge. 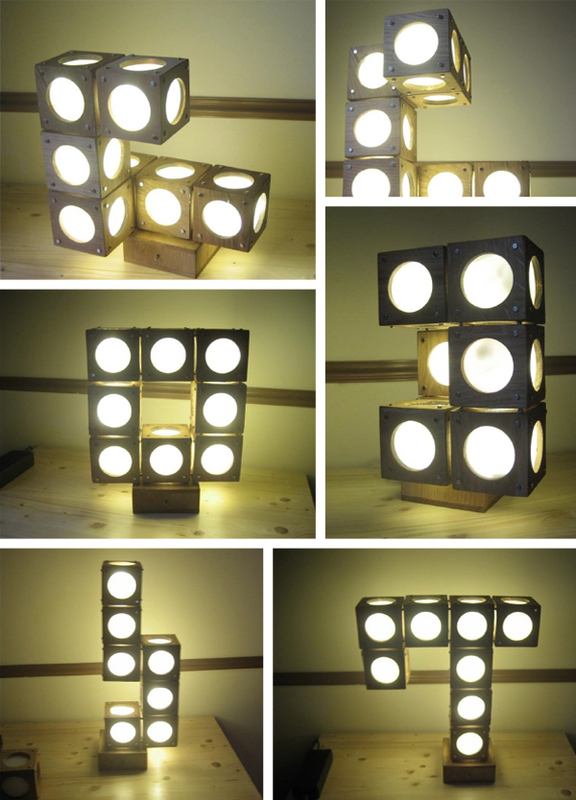 Here is an amazing and cool DIY lamp idea highlighted on Design*Sponge. We’ve seen dip dyed shirts before, but here Kate has dip dyed not just a pillow case but a whole lamp shade. 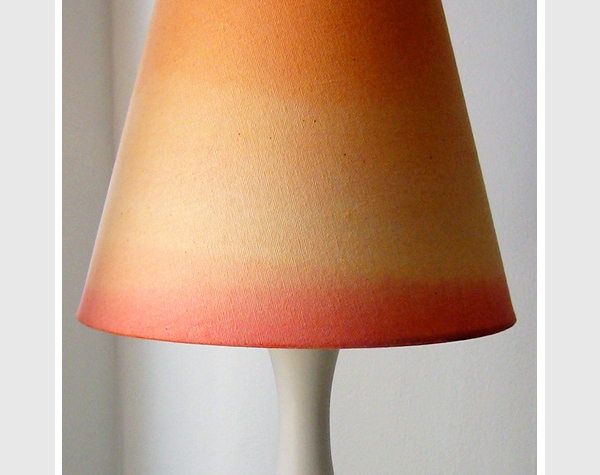 The result is a gorgeous lamp shade with an elegant sunset gradient. The process is surprisingly simple (and inexpensive: $5-$15) and can be found here. All the materials you really need for this project are: dye, a lamp shade, buckets, and water spray bottle. The great thing about this DIY project is that you can tailor it to your style by choosing colors that match your décor. You’ve got to be kidding? 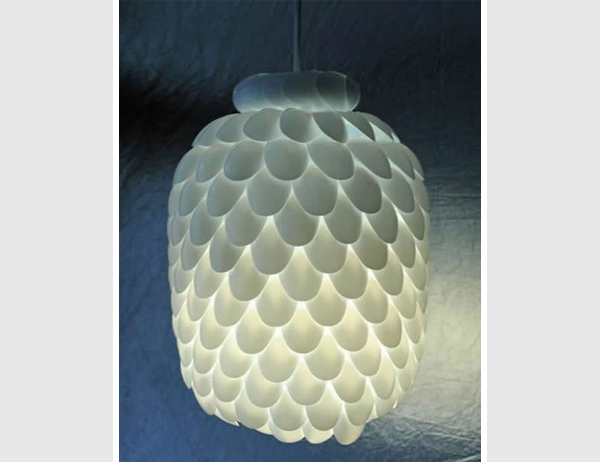 If you told me that you were going to be making a pendant light out of plastic spoons (!) I would have politely said “that’s nice”. What is surprising is that the finished piece looks like a designer light. It was made with just plastic spoons and a 5 liter water bottle to create the shape and secure the spoons to. It looks pretty good as it is, but you could spray paint the spoon lamp in a high gloss paint to throw people off that it is made from common plastic spoons. The site is in Spanish but you can find the Google Translate version of the post here. Cool Lamp Using Magnets: How Does it Work? 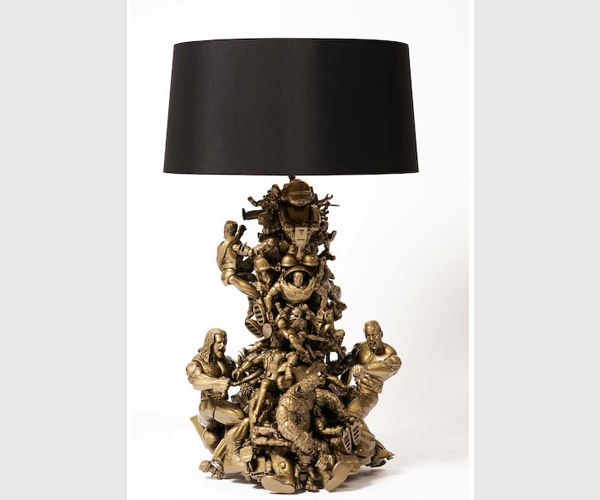 Now here is a truly amazing and cool lamp. At first glance it looks as if there is a well thought out wiring system allowing the blocks to be interchanged and shifted. Having investigated further, there is a much more ingenious concept behind it. This table lamp, designed by HHarry of Instructables, uses magnets not only to hold the blocks together but also to conduct electricity from one block to another. Using magnets, nails, and conducting silver allows the boxes to pass the electricity from one to another. So you can actually take the pieces apart. The box’s light will go off, until you connect it to a box that is connected to the base which is where the source of the electricity is. If you have the urge to attempt this magnetic lamp project, you can follow along with the instructions here. Nothing creates romance faster than being together in candle light. Or maybe you are looking for romantic lighting ideas to create yourself a relaxing and comfortable home. Either way, every space within the house can be turned into a romantic area, from the bedroom, bathroom, to the dining area and living room. Here are a few romantic lighting ideas (including using candles) that you can do around the home, indoors and outdoors. The key to romantic and intimate lighting is to have dim lights, avoid lighting the ceiling, and have light as close to the floor as possible. So instead of using ceiling lights, use floor lamps for example. Low lighting makes a space more comfortable. Your vision is impaired (so your pupils dilate making everything around more attractive), and your other senses are heightened too…ooo lala. Privacy: Don’t forget the importance of privacy. Blinds and curtains can block out outside light and noise filtering into the house and helps create a secluded and intimate setting. The key with the living room, the space that will be used most often in the house, is to use a number of different light fixtures to create different lighting effects. If you use just table lamps all around the room this will look weird, and create a monotone/dull look. Instead mix it up: media cabinet lights along with behind the couch lighting, and lamps on both sides of the TV will create a well balanced space. A coffee table centerpiece: this can be in the form of candle light, flameless candles, or LED lights – which we go over in the centerpiece section below. Candles are always a popular option for romantic bathroom lighting. An alternative would be ‘spa lights’. These are small battery powered lights that can be sprawled out around the bathroom, or attached to the side of the bathtub. Or they can even float around in the bath – however you choose to use them, they will create a warm and soft glow in the bathroom. To find out where you can buy these spa lights, have a look at our post here: LED Spa Lights: Creating The Spa Experience In Your Bathroom. If you want to create intimate and romantic dinners then have a look into the lighting within and around the dining area. A good way of lighting this area is to have a focused light above the dining table. This way, you can dim or turn off the lights in the kitchen, living room, and have an intimate dinner setting. You can do this by using pendant lighting, like a drum light hanging low down from the ceiling right above the dining table. How about a low hanging mini chandelier? There are also centerpiece ideas that you could place on the dinner table that uses some sort of light. Light based centerpieces can be used on a dining table, a coffee table in the living room, or the side tables in the bedroom. Floor lamps can also be used to create intimate lighting in any room. These can be the standard floor lamps you see everywhere, or there are more decorative and romantic lamps to consider. One of these decorative lamps is the lighted twig. There are modern versions that can be store bought, or you can make your own at home. 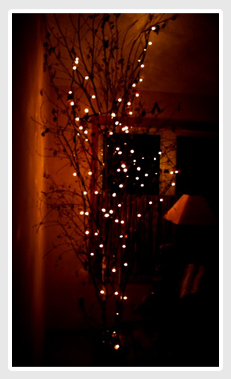 Grab a few tree branches, plant them into a pot of soil or sand, and then wrap string lights around them. You can even paint the branches a color to suit your décor style, like the white ones in the picture below. You can make use of shadows in creating a romantic setting by using floor lamps and house plants. Place an uplight besides a house plant (these can be hidden behind couches, etc.) and the plant will cast shadows adding some depth to the room. The main rule in creating romantic lighting is to avoid lighting the ceiling. This rule can be broken with cove lighting. This is a form of indirect lighting where a false ceiling is installed. Lights are hidden away in the false ceiling and bounce light off of the ceiling and into the room. 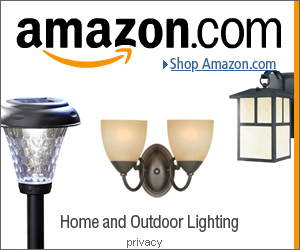 Have a look here for more cove lighting ideas and pictures. Dimmers are great fixtures to install because they allow you to have absolute control of the lighting in a room. A room can be used for reading, or other tasks, and then with the dimmer you can instantly create a romantic setting by dimming the lights. This can be used in all rooms. There are even remote controls that will dim the lights for you so you don’t have to get up. Nothing beats candles in creating a romantic setting. If you are worried about it being a fire hazard then look into candle lanterns which shields the candle’s flame, or use floating candles that are surrounded by water. The JellyFish is a modern home mood light. It looks like a mixture of a jelly fish and an iPad! It uses LED lights which means it can change into thousands and thousands of different colors. There are different light settings from setting it to your favorite color, or it can fade to different colors. With the touch pad which uses gestures to control it (just like the iPad) you can also control the level of brightness, the saturation and the speed that the colors change. It’s an all in one, stylish mood lamp. Other modern and romantic mood lamp options include the Philips LivingColors or Cielux Lune. An alternative to using mood lamps is to change the color of your lamp shades. Changing them to a deep color like purple or red, will create a soft glow of that color in the room. Romantic lighting does not have to be expensive or complicated. 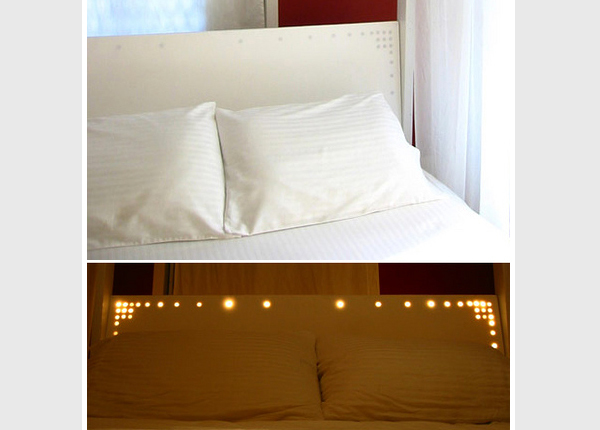 Here are two simple and romantic DIY lighting ideas. Paper Lanterns: these are inexpensive and are lightweight which is why you’ll see so many people using them in their DIY projects. String lights can look a little bit tacky on their own inside a home. So why not use LED string lights (as they give off less heat) and wrap them in drapes. The drapes diffuse the light, creating a softer glow. The drapes also break up a room creating more intimate spaces. The same can be done with canopies in the bedroom. An outdoor space can be one of the most romantic areas at home. String lights always create a whimsical and enchanting outdoor setting. They can be wrapped around railings, beams, or trees. They can be hung overhead from the wall of the house to a pole or arch creating a starry night effect. The soft glow of a fire creates a romantic backdrop. Candles are a go to choice. There are also tiki torches, fire pits, tabletop fire bowls, oil lanterns or how about the modern fire glass pits. Also, have a look at our post here on creating your own DIY oil lamps. There are more modern romantic outdoor lighting ideas, like using Sun Jars for example. These are mason jars that have been reconfigured into solar lights. When they light up at night, they look like they have a little sun floating inside of them.